We have all heard of it and many of us suffer from it…PMS or Pre-Menstrual Syndrome. Symptoms such as bloating, hunger, headaches, and moodiness can begin anywhere from 5 to 11 days before menstruation. Most women (about 90%) get some sort of PMS symptoms each month and this is especially true for women in their 30s. What are the symptoms of PMS? After ovulation, progesterone and estrogen increase to prepare the uterus for pregnancy. If pregnancy does not occur, these levels begin to decline quickly. It is the decrease in progesterone that triggers symptoms such as the increased craving for chocolate and the mood swings. How do I test for PMS? A qualified bio-identical hormone replacement center can do a simple blood draw to test your hormone levels (preferably on days 19-21 of your cycle). This test and your symptoms will let your doctor know how to treat you. How can I treat PMS? Once your labs results have come back, your doctor may want to prescribe you supplemental progesterone for all or part of your monthly cycle. This increase in progesterone can combat many of the physical and emotional symptoms of PMS. What can I do at home to help control PMS? Exercise—this helps your body deal with stress and releases endorphins that help create a positive mood. Get enough sleep—sleep is critical to your body’s ability to deal with stress and succeed in repairing any cellular damage that occurs during the day. Eat healthy—make good food choices (at least most of the time). Meat, veggies, and fruits should makeup the bulk of your diet. 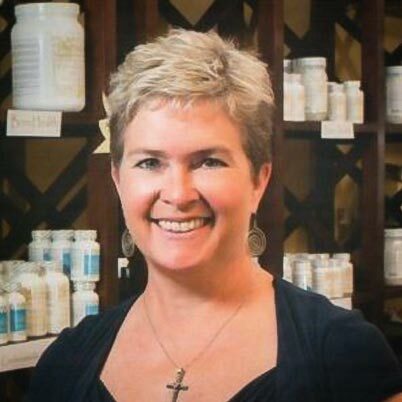 Dr. Melissa Miskell is the Medical Director of Hormones by Design, a bio-identical hormone replacement center in Waco and Boerne, Texas. Her highly trained Nurse Practitioners have been treating hormone patients for more than 10 years and are accepting new patients. In Waco call (254) 230-4225 to schedule with Women’s Health Nurse Practitioner, Suzy Hancock. In Boerne call (830) 981-9540 to schedule with Family Nurse Practitioner, Nancy Beebe. We now accept insurance for lab testing in our office! There are hundreds of clinics attempting to treat hormone imbalance. What makes us different? We listen, then we take action. Our business model makes it possible for us to start your treatment on day one. Faster treatment = feel better faster.